Get a little ancient inspiration by joining us in the creativity of block printing. This 2000 year old tradition is surprisingly easy to master, and does not require experience before crafting a work of art! We will be gathering at the beautiful Talley Vineyards in Arroyo Grande, CA. Cozily tucked away in their special events room, we will have space to play and stay warm regardless if there are cats and dogs falling from the sky! 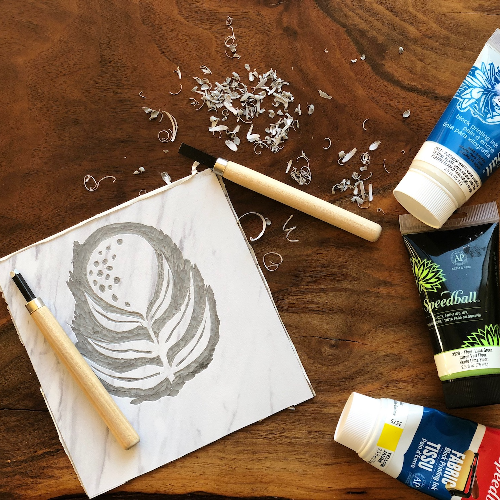 Come join the community and learn the basics of linoleum block carving and relief printmaking. Instruction and all tools needed will be provided. We will have ample examples to choose from, but please feel free to bring some imagery or drawings of simple designs you would like to carve. * All attendees must be 21 years or older.